At a celebrity event, Swara Bhasker turned out looking desi chic but not without a twist. Along with a powder blue embroidered sharara suit, she wore dazzling jewellery. While this included the usual cocktail ring and earrings, there was one piece that stood out; her head chain. Across the back of Swara's head was a glittering head chain attached to her heavy earrings. 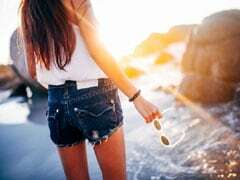 Not only was it a unique choice, it accented her braided hairstyle perfectly and was the talking point of her entire outfit. 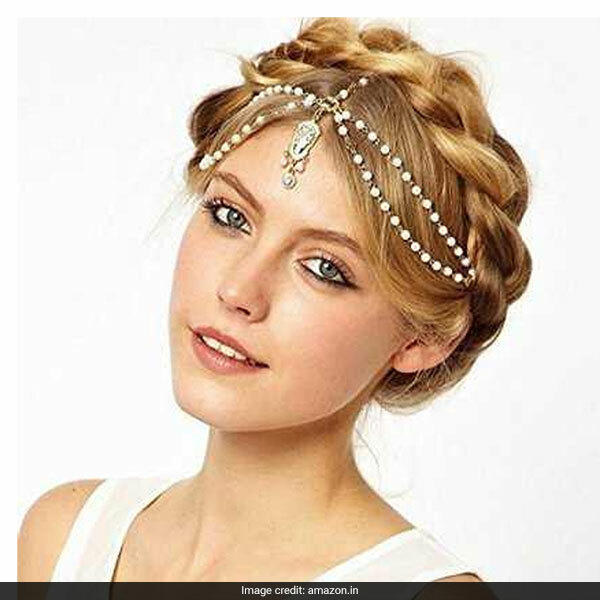 If you'd like to accessorize your look with a glitzy head chain like Swara, we've got 5 options for you. 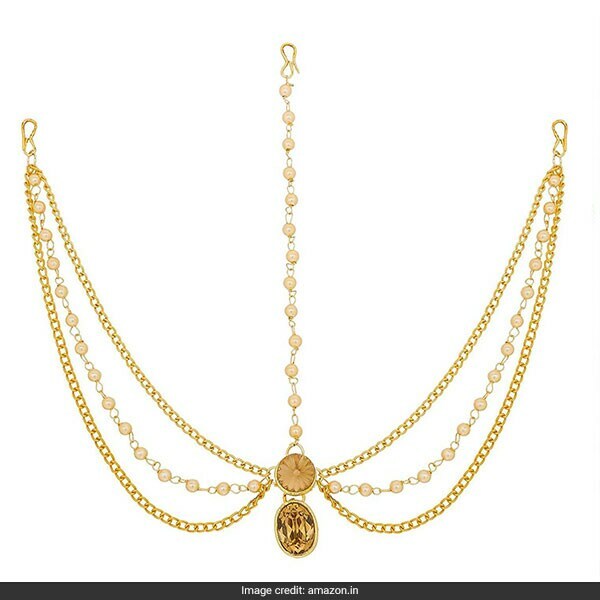 The Jewel Queen Tassel Head Chain is embellished with pearls that meets on the forehead in a metal and stone pendant. It is available for Rs 460. Shop here. 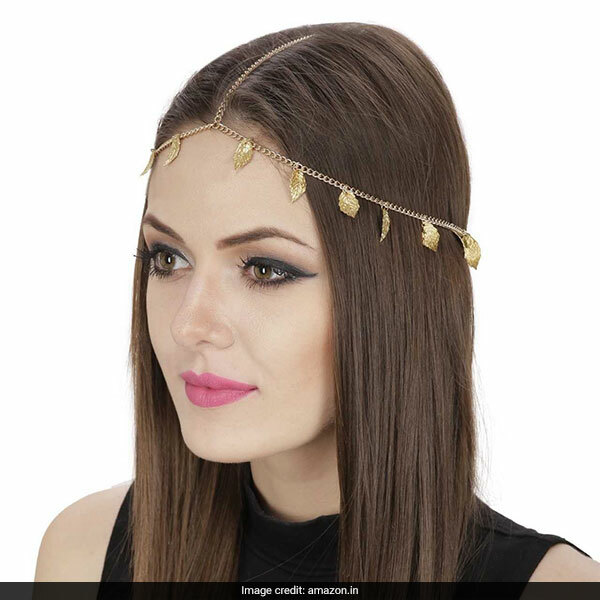 The Fayon Gold Leaves Headgear will add a bohemian twist with ease. The chain piece has miniature gold toned leaves hanging from it. It is available for Rs 326, reduced from Rs 920. Shop here. 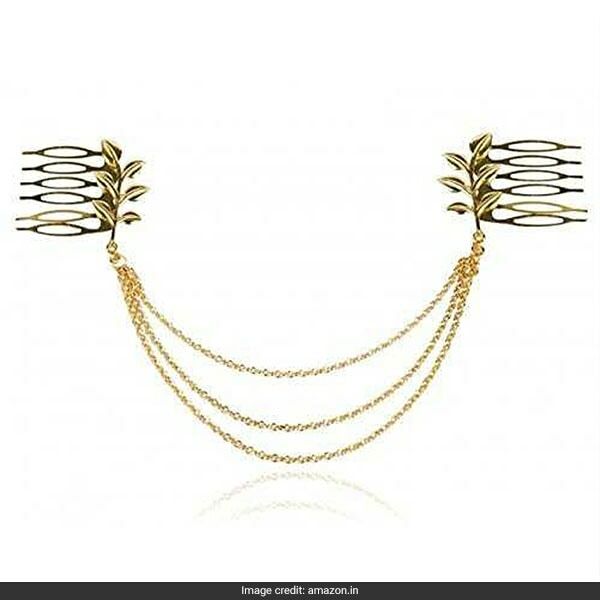 The Crunchy Fashion Multilayer Head Chain can be worn across the back of the head like Swara's with leaf embellished combs to cinch on either side of the head. 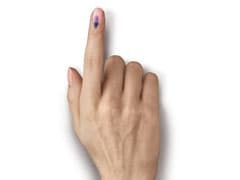 It is available for Rs 399, reduced from Rs 849. Shop here. 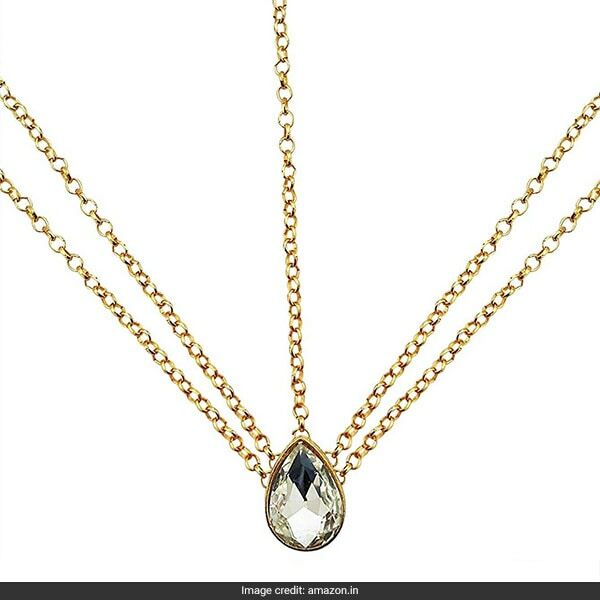 The Aadita Fashion Jewellery Mathapatti is a traditional choice of gold-plated brass with stone work on the pendant. It is available for Rs 389, reduced from Rs 1,495. Shop here. The Mehrunnisa Mathapatti has five chains which meet in the centre with a teardrop-shaped crystal. It is available for Rs 425, reduced from Rs 600. Shop here. How will you style these eye-catching picks? Tell us in the comments.